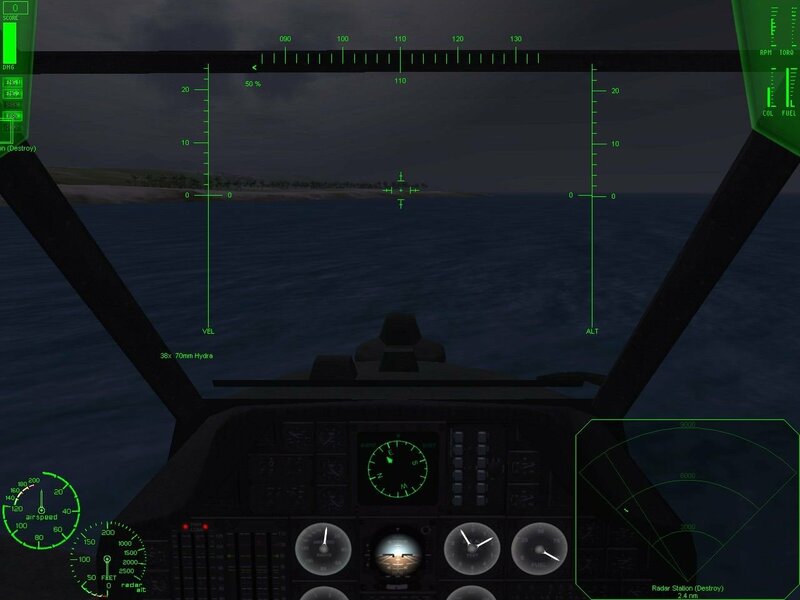 Flying through low poly skies. 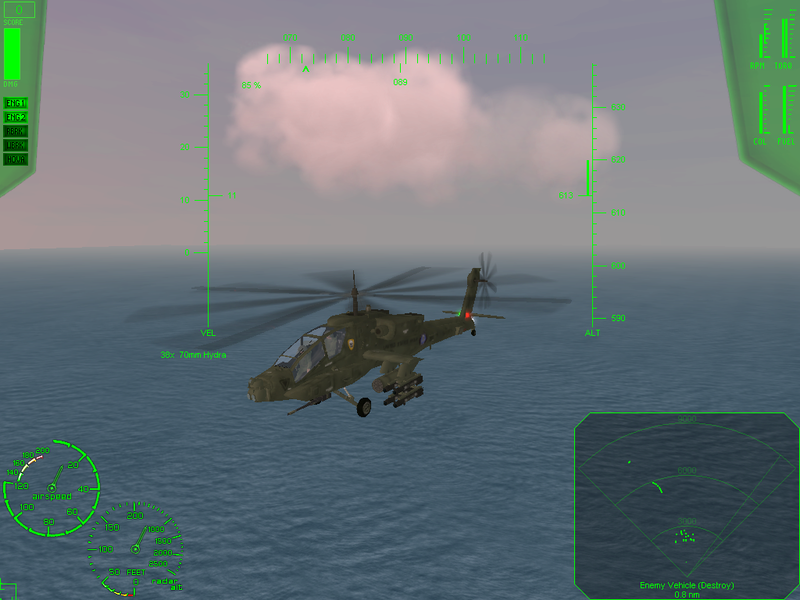 You get what you pay for with most budget PC games, but pleasant surprises can and do happen at times. 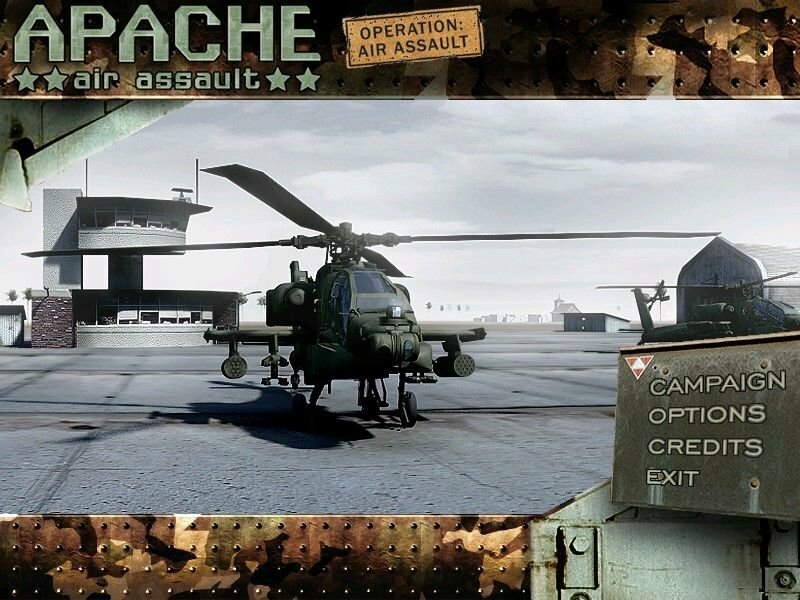 Developed by Denmark-based InterActive Vision, Apache Longbow Assault is a near-perfect replica of its predecessor (AH-64 Apache Air Assault). 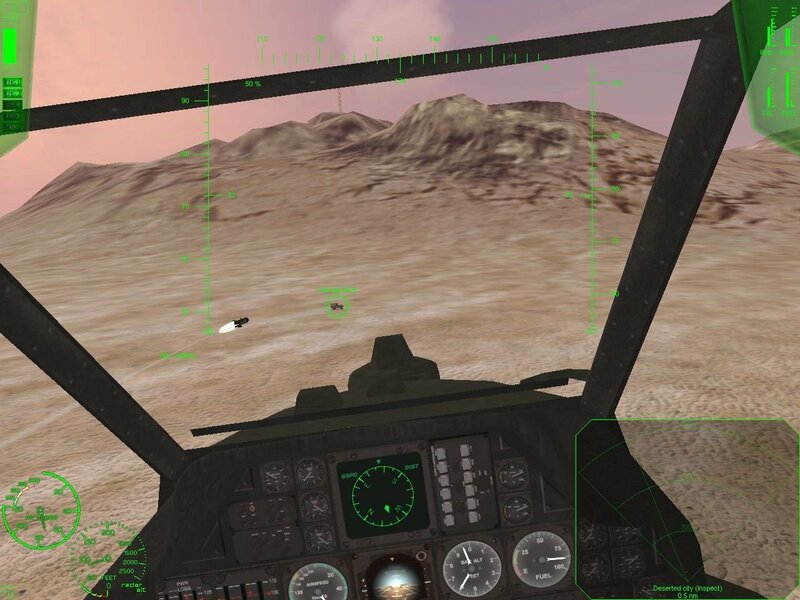 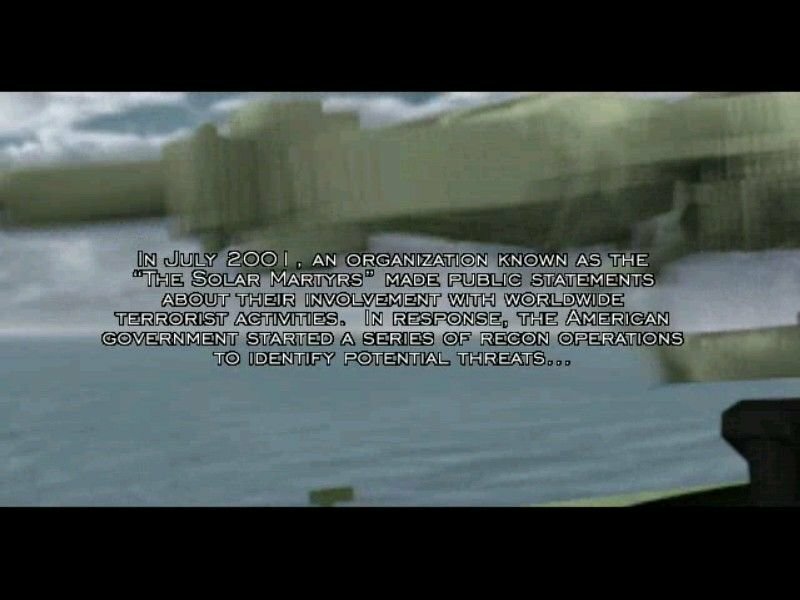 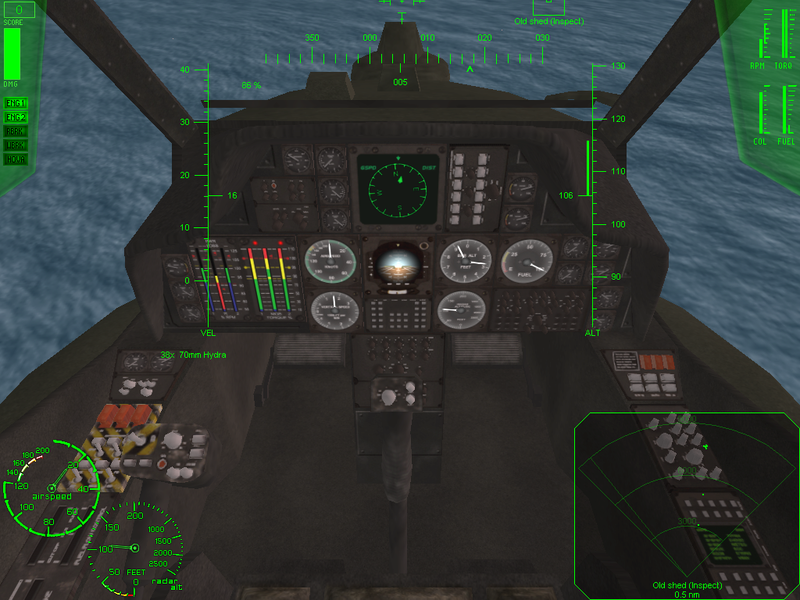 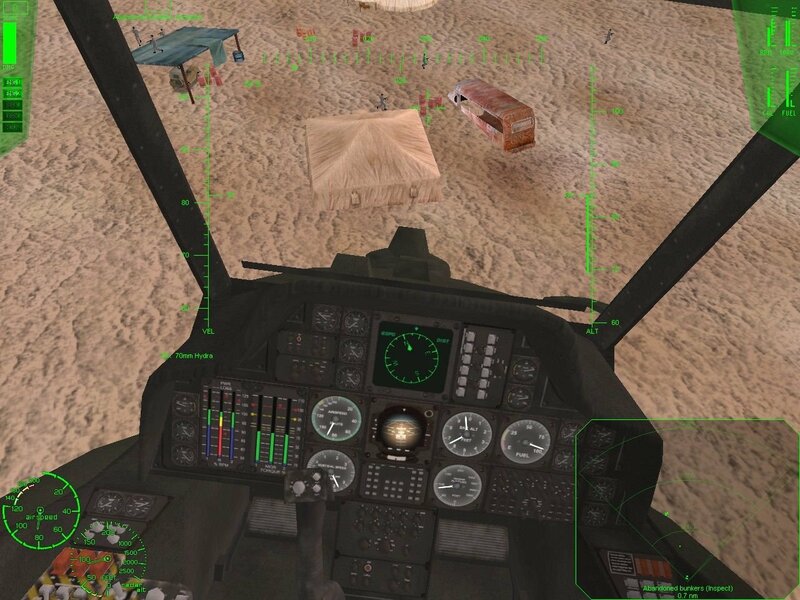 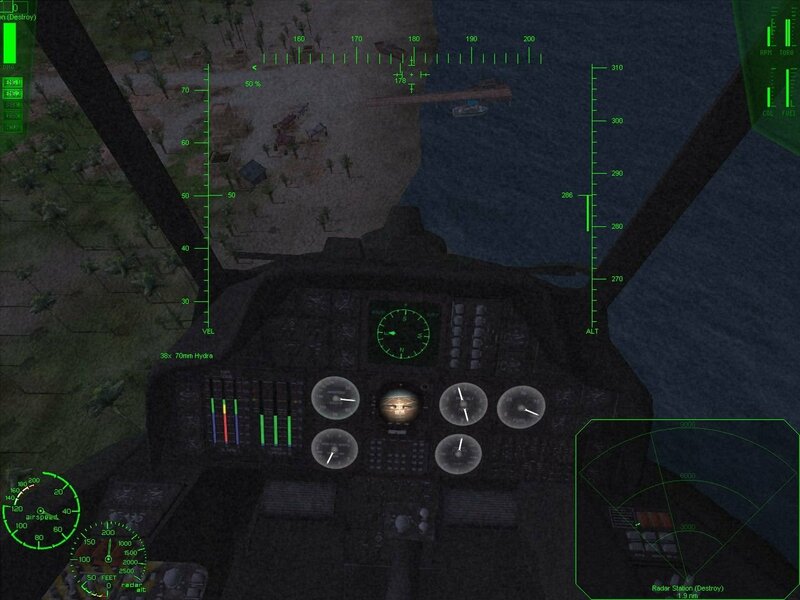 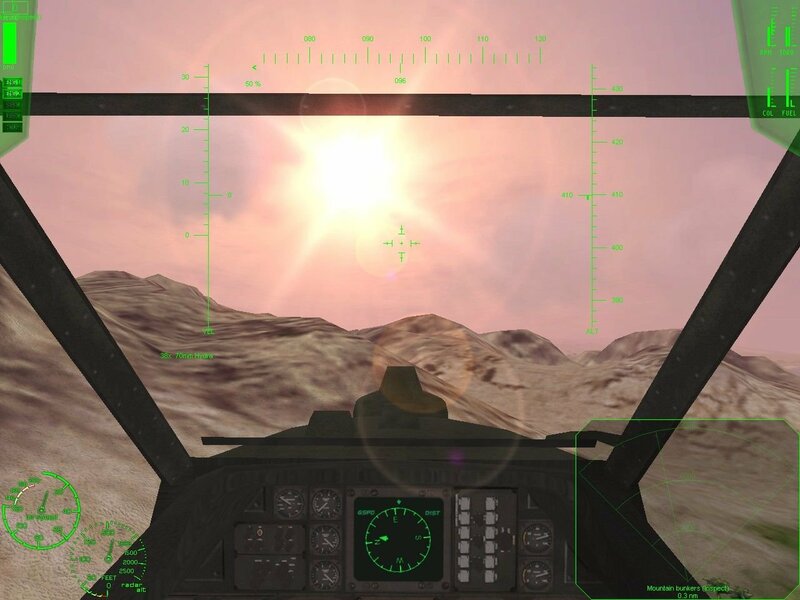 You’re placed behind the simplified controls of a U.S. Army Apache Longbow attack helicopter, tasked with fighting a linear 30-mission campaign against well-equipped terrorists in Siberia and the South Pacific. 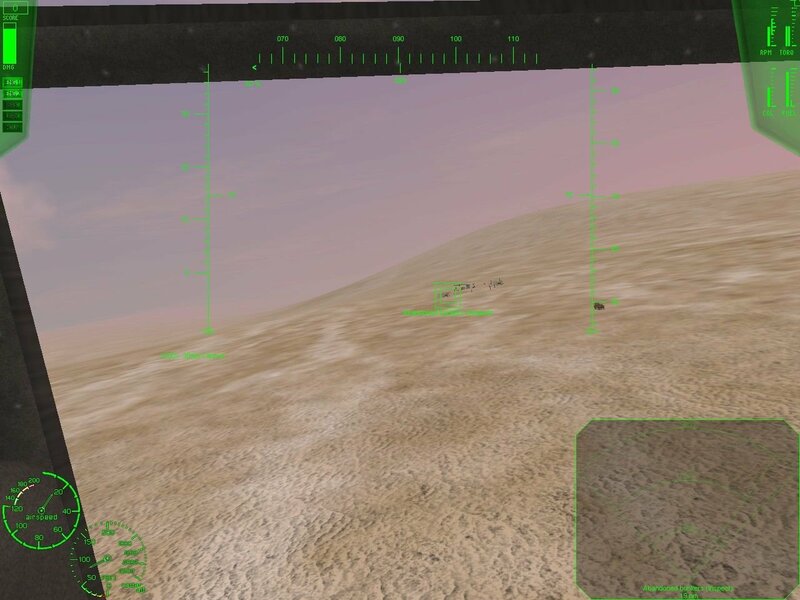 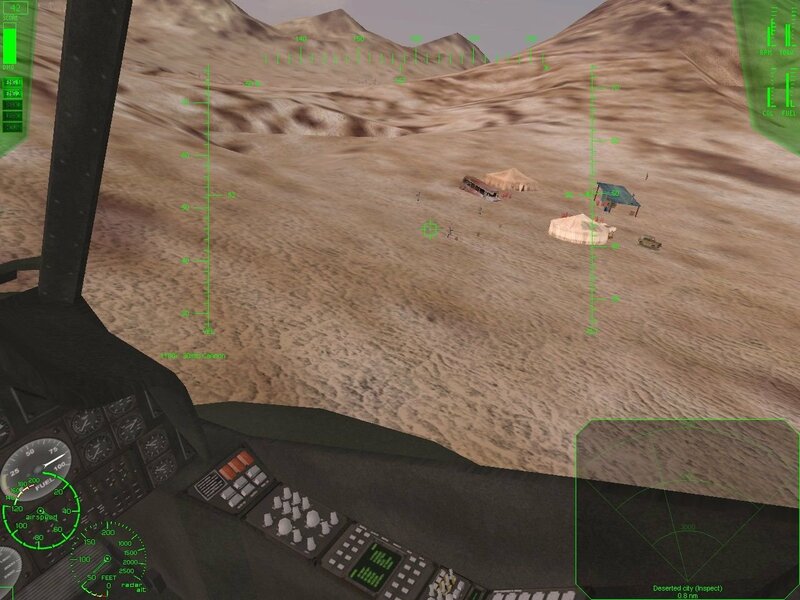 Apache Longbow Assault’s RenderWare graphics engine produces fairly sharp battlefield environments, both rural and urban. 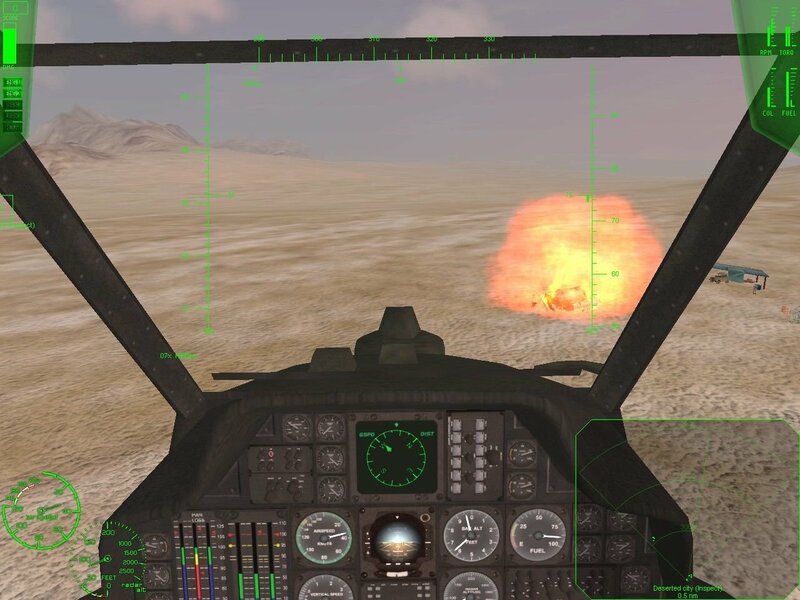 The weapons pyrotechnics, while not up to Comanche 4 standards, are still flashy enough to keep serious-mayhem fans happy. 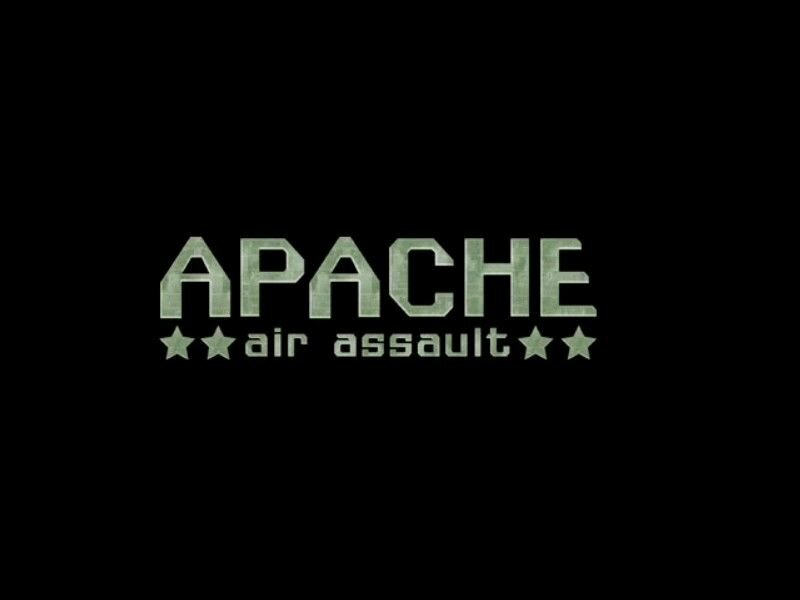 The real issue with Apache Longbow Assault is its brevity. 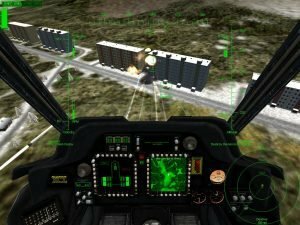 With no multiplayer options or instant-action modes to flesh out the scripted campaign, the game’s 30 missions — averaging a paltry four or five minutes apiece — whistle by in record time. 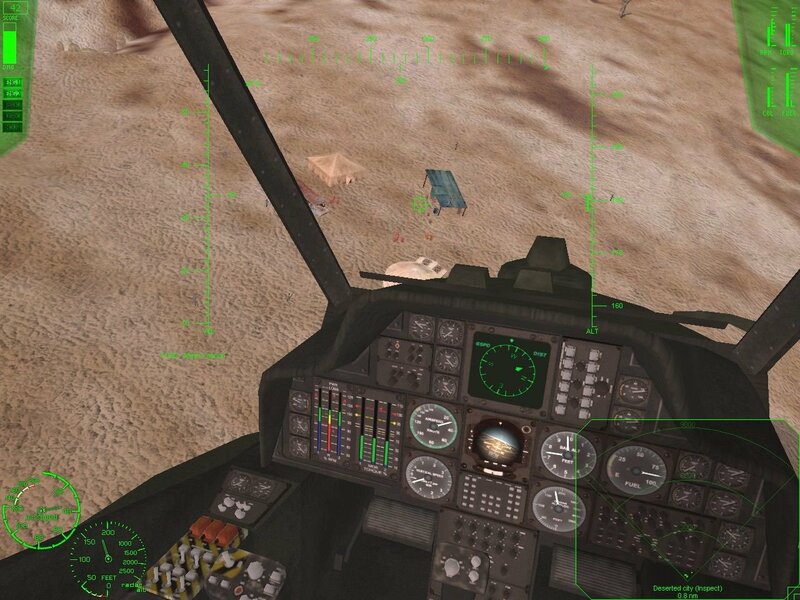 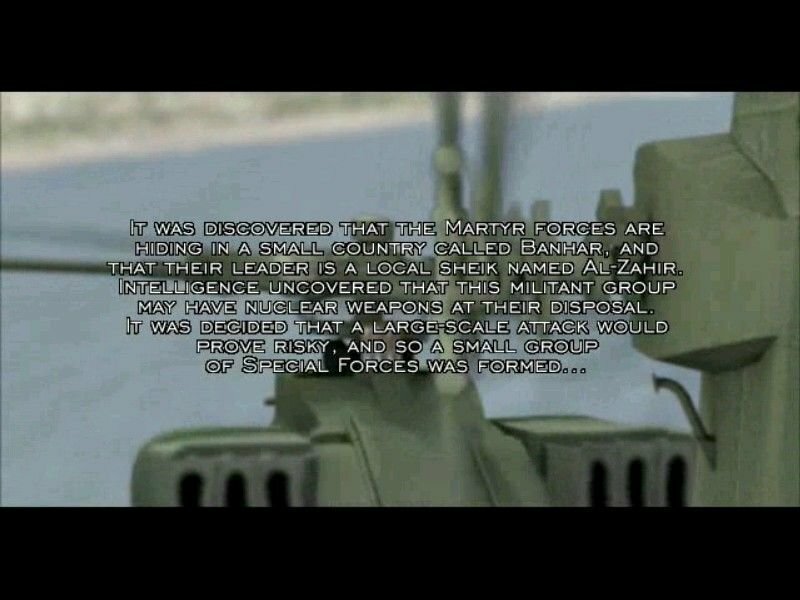 The developer has attempted to slow down this process with the introduction of some highly lethal enemy choppers (AH-64 offered only ground-based threats), but forced “do-overs” after you’ve been nailed by an air-to-air missile for the umpteenth time annoy more than reward.